Reliable, portable floor monitor for you santuary! 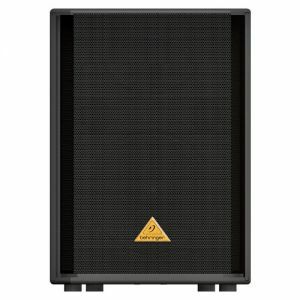 The 600 Watt Behringer Floor Monitors provide clear sound with excellant reliability! The solution to a reliable, portable floor monitor for you santuary is here! This lightweight sturdy built floor monitor from Behringer is the perfect solution. The rugged steel grille will protect you speakers. The integrated handles will assist in moving the speaker anywhere. It has a wedge design to make it perfectly aligned for you performers. Plus this speaker has 600 Watts of peak power to give you exceptional sound everytime!